Like everything else, start from the bottom. 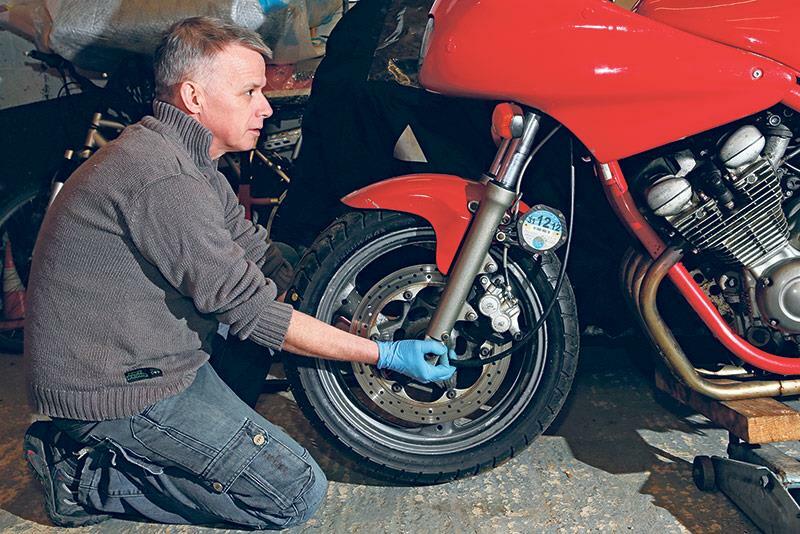 Tyres are pretty crucial – getting a new motorcyclist in the habit of checking tyre pressures, condition and monitoring wear should be high on the list of knowledge to impart. Explain the basics of tyre compound and intended use – it’s easy to assume the stickier the tyre the better, but typical first bikes often work best with sport touring tyres with their wider/lower operating temperature range, and more stable profile. There’s a lot to know about tyres, but setting out a few basics makes learning easier. And don’t forget to mention that new tyres are slippery and need to be scrubbed in. Start a good habit before bad ones have a chance to set in. 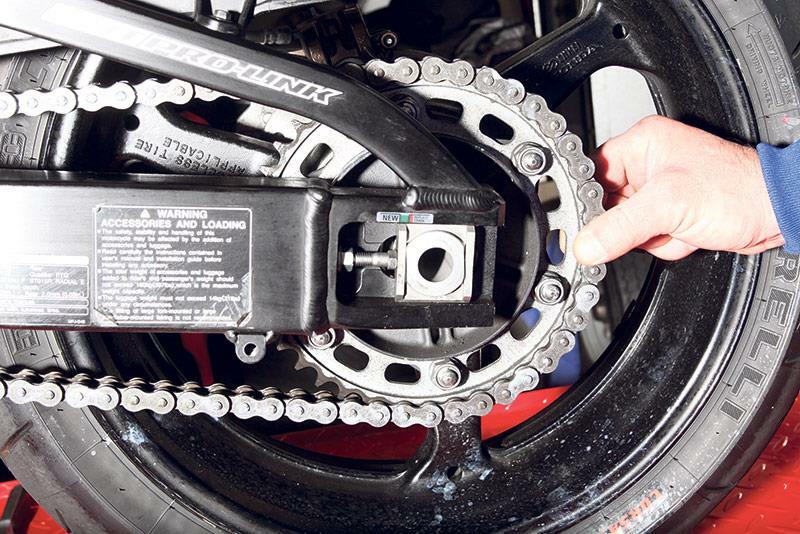 Show your keen, green newbie how chain adjusters work, and explain the importance of correct wheel alignment and chain tension. Talk them through cleaning it regularly, making sure the bike is in neutral when you are working on the chain, and how much lube to use, and when. It sounds silly, but make sure they’re aware the rollers and pins need lube – it’s not unusual to see new riders lubing the sideplates and nothing else. Perhaps a course in brake bleeding shouldn’t be the first lesson on the new rider syllabus, but you can at least show them what they should be looking for in terms of problems and wear with motorcycle brakes. 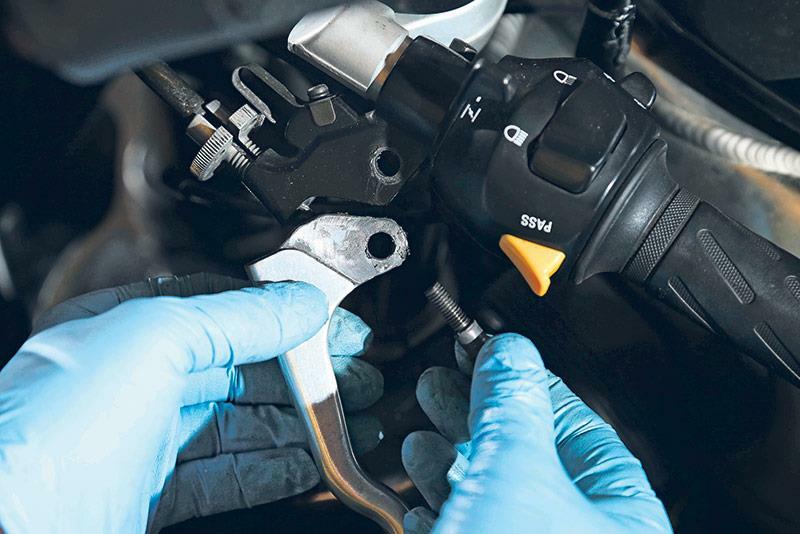 Show them how to inspect pads and discs, plus how to recognise problems such as warped discs or seized pistons. If you think they’re ready, show them how to remove, clean and safely refit calipers to prevent them seizing in the first place. A test certificate to prove you can ride a bike is just the beginning of the learning curve. The first few miles are crucial for future skill, confidence and safety – all qualities that are only aided by correct adjustment of the controls. Show your friend or relative how to set gear, brake and clutch lever positions for optimum comfort and control – it’s also worth talking them through lubricating pivots, cables and setting cable slack. Don’t assume the obvious is… obvious. 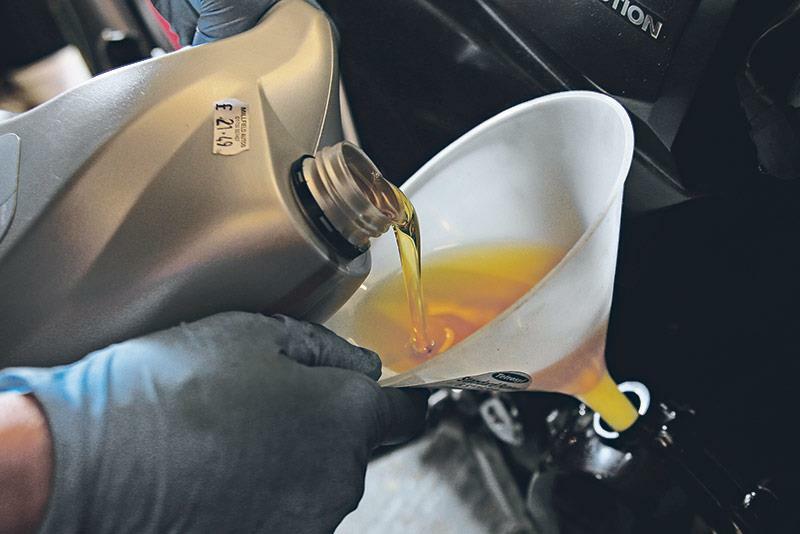 Oil level checks are easy, but it’s common for the uninitiated to check the level on the sidestand, rather than upright, leading to overfilling. 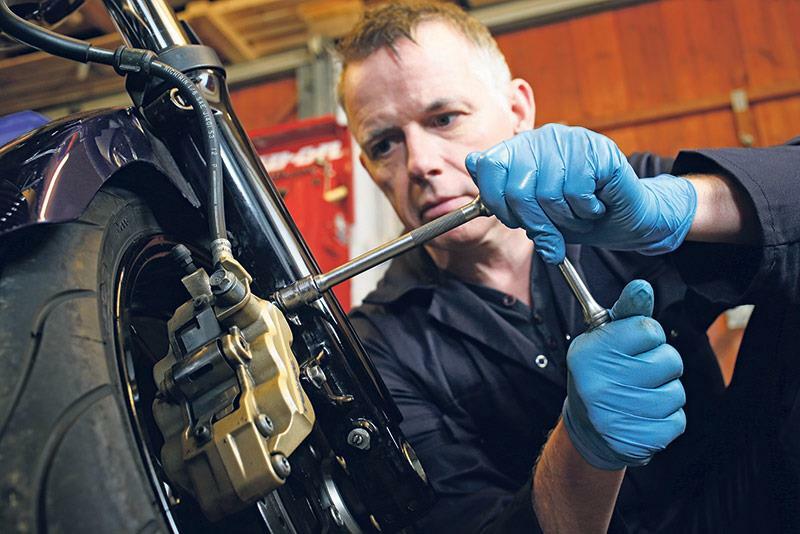 Plus, some bikes have more complex oil checking methods than others – if your newbie has bought a used bike with no handbook make sure they go online and download a copy. Make sure all is clear – also run though brake fluid and coolant inspection. While you are at it, remind them to only use fresh brake fluid from an unopened bottle and to keep the fluid well away from bodywork and paintwork. It’s always better for a new rider to learn about fastener tightness with as few stripped threads and snapped bolts as possible. Encourage your pupil to get a torque wrench, show them how to use it and where to find correct settings. A bit of feel has to be learnt, but a few words of experience will hopefully help them make more considered judgements and not cause themselves too many issues. This could be especially important if your new rider has crossed over from driving cars. Throwing a sponge and a bit of soapy water at a bike doesn’t cut it and getting vicious with a jetwash can create new problems. 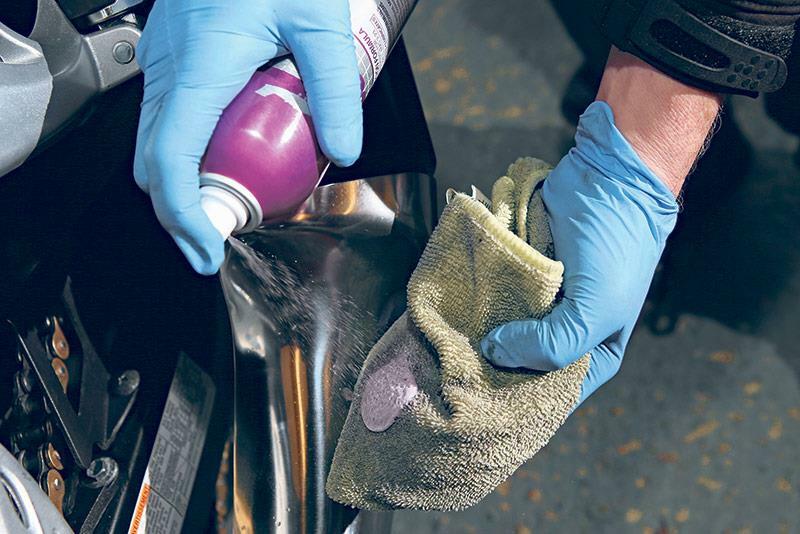 So get them in the habit of using the right kit and chemicals to keep the various parts of the bike clean, and encourage them to lavish protective sprays on electrics and vulnerable metal parts. 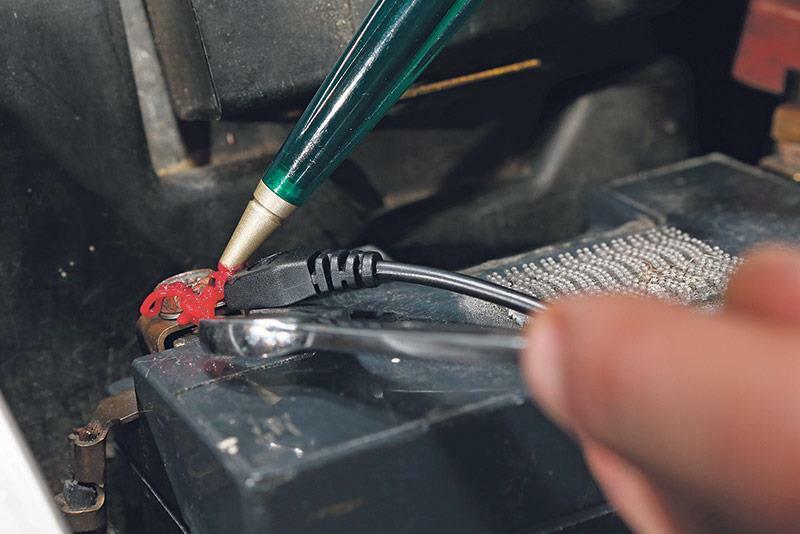 It’s unlikely your novice motorcyclist will embark on a full rewire, but you can at least show them how to keep the basics of their electric system working sweetly. Show them how to get to the battery, and how it can be checked and charged. Show them the fuse board, and how to get at any bulbs that might need replacing in a hurry. 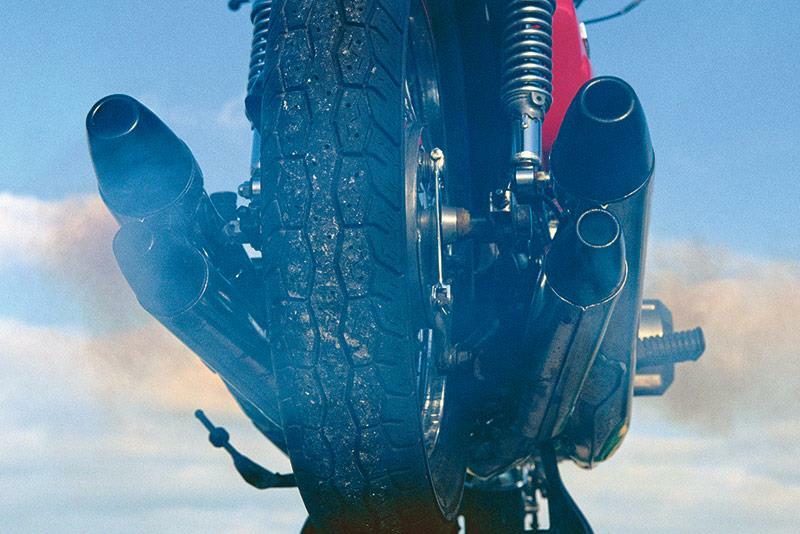 Seasoned riders should be able to spot chassis problems, but for those who’ve not ridden anything beyond a hard-used training school bike, something wrong with the chassis isn’t obvious. Help them check over their bike, and explain what they should expect in the way the bike rides and feels. Dodgy suspension or bushes/bearings can be dangerous. It’s worth explaining to younger, keener riders about warming everything up before giving it a handful. They need to know that bikes are more precise than a car, and engines benefit from being warmed. Tyres need time to get warm, and even brakes work better with a bit of heat. Plenty of us learned these things the hard way, but it only takes a minute to save someone else the grief.